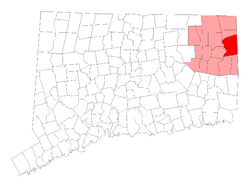 Killingly, CT is located in Windham County about a half hour east of our North Windham dentistry office. If your child has a dental emergency, one of our pediatric dentists is always on call at CT Pediatric Dentistry. For pediatric emergency dental care, call our after-hours hotline at 860-523-4213 and one of our pediatric dentists will meet you at 6 Airport Road in North Windham for such dental emergencies as broken teeth, knocked out teeth, acute toothaches, a displaced tooth, or other possible emergencies. We also welcome your youngsters for routine dental care, like X-rays and cleanings. To schedule a regular appointment at our North Windham office, please call 860-456-0506. 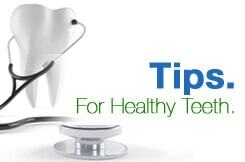 There is a very low risk with X-rays at CT Pediatric Dentistry. Our highly trained pediatric dentists are careful to limit the amount of radiation to which a child is exposed using lead aprons and high-speed film to minimize radiation and maximize safety. Children get cavities when they eat too much sugar, which feeds bacteria that produce acid which weakens the enamel of their teeth. We strive to educate young people about oral hygiene including children flossing teeth and using proper brushing techniques. Very young children cannot brush their own teeth adequately and so should have their teeth brushed by a parent using a soft-bristle brush and a tiny amount of toothpaste. For children 3 to 5 years of age, use a pea-sized amount of toothpaste and assist your child with brushing until they can do it properly themselves. Your child can receive a fluoride treatment to maximize enamel protection when he or she comes in for his or her regular dental check-up. We hope you'll make CT Pediatric Dentistry your child's primary pediatric dental care location. We want to build a long-term relationship with you and your family and help ensure long-term dental health and oral hygiene in your child. We love bringing smiles to children's faces, and also love to ensure those smiles are healthy ones, so remember CT Pediatric Dentistry in North Windham when its time for your child's next check-up, cleaning, or if you suspect the presence of a cavity in your child's tooth.